Create a lasting celebration with our Flower Seeded Paper Confetti. 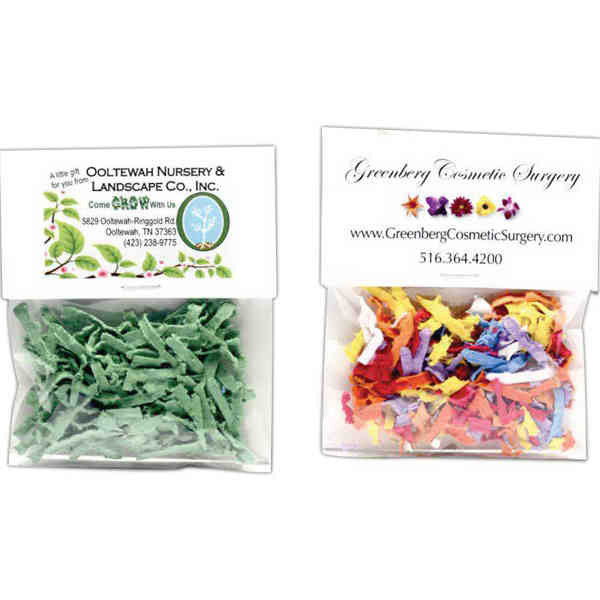 These fun packs of confetti come in an array of colors in a small cellophane packet with a card stock tag. Each tag contains a full color imprint of your logo and message and special planting instructions on the back. A great way to celebrate Earth Day, new births, and more, these confetti pieces result in beautiful wildflowers when planted. Size: 3 5/8 " x 4 3/16 "